Bob Stefanowski, the failed GOP candidate for Connecticut governor. Buffeted by political ill winds, New England’s Republicans in Congress moved toward the brink of extinction in last week’s midterm election, while Democrats made huge gains at all levels of state government offices. Connecticut has not had a Republican representative in Congress since 2009. Now it appears that all but one of the six New England states — Maine — will have all-blue congressional delegations. In Maine on Thursday, Jared Golden, a Marine Corps veteran and Democratic state lawmaker, was declared the winner against New England’s lone U.S. House Republican, Bruce Poliquin. That leaves Sen. Susan Collins of Maine, who was not up for re-election this year, as the only GOP lawmaker in Congress from New England, once a bastion of a special brand of pragmatic, Yankee Republicanism. After her support of Supreme Court Justice Brett Kavanaugh, Collins is likely to face a strong Democratic challenger if she runs for re-election in two years. Republican losses were not by any means limited to the federal level. In Massachusetts, Democrats added to their supermajority in the state legislature and can now override the veto of Republican Gov. Charlie Baker, who coasted to re-election on a strong economy and an anti-Trump message. Vermont’s Republican Gov. Phil Scott also won re-election, but like Baker he now faces a legislature with more Democratic and Progressive party members who can override his vetoes. In Maine, Democrat Janet Mills captured the governor’s office from the GOP and will be the first woman in the state to hold that office. Democrats also made big gains in Maine’s state legislature. In Rhode Island, Democratic Gov. Gina Raimondo won re-election and, like everywhere else in New England, Democrats gained seats in the general assembly. The one place where Republicans prevailed is New Hampshire, where GOP Gov. Chris Sununu succeeded in his re-election bid. “But he is now a red dot in a sea of blue,” said Wayne Lesperance, a political science professor at New England College in Henniker, N.H.
New Hampshire was once considered a rock-ribbed Republican state. No more. In the midterm election, Democrats seized control of the state legislature from the GOP and also won control of the Executive Council, a governing body that’s a holdover from colonial times. President Donald Trump has posed a unique challenge to New England Republicanism, known for its pragmatism and moderation, especially when it came to social issues, Lesperance said. Even before Trump, the so-called Rockefeller Republicans who once represented the region were becoming a dying breed because the national Republican Party moved to the right and moderates in both parties disappeared. The Pew Research Center says the combined House delegation of six New England states went from 15 Democrats and 10 Republicans in 1973-74 to 20 Democrats and two Republicans in 2011-2012. What the GOP lost in New England it gained in the South, where the combined House delegation switched positions: from 91 Democrats and 42 Republicans in 1973-74, to 107 Republicans and 47 Democrats in 2011-12. Gary Rose, the head of the political science department at Sacred Heart University, said the political realignment of the South transformed the national Republican Party into the champion of social conservatism and the religious right, putting it at odds with New England Republicans. “A lot of them just bolted the party,” he said. Trump, with his controversies and bombastic demeanor, complicated what was already a difficult task of getting re-elected for the region’s party members. The losses “were a continuation of a trend that began way before Donald Trump, but his presidency has increased the disconnect between New England Republicans and the broader national Republican Party,” Lesperance said. 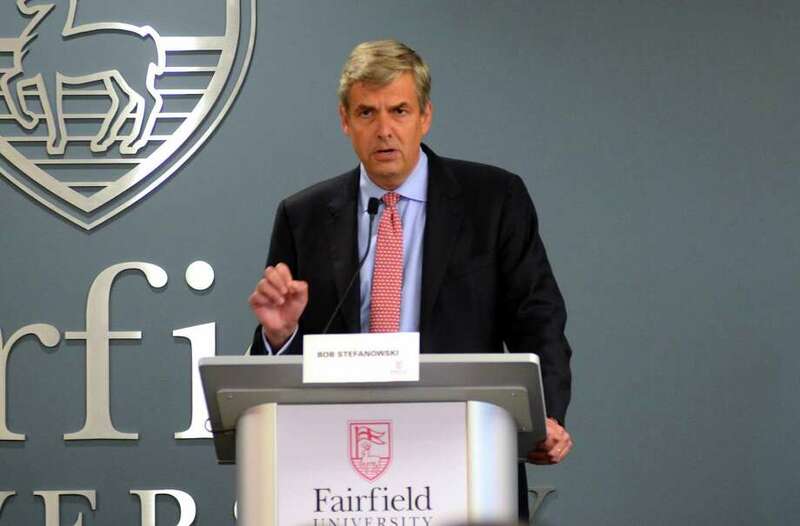 Unlike other New England GOP gubernatorial candidates, Connecticut’s Bob Stefanowski did not run against Trump. The Republican Governors Association spent more than $5 million to support Stefanowski in his race against Democrat Ned Lamont hoping the GOP could wrest that seat from Democrats because of the unpopularity of outgoing Democratic Gov. Dannel Malloy. But the same blue wave that washed over other parts of New England also swept across Connecticut last week, keeping the governor’s office and all state-wide offices in Democratic hands and giving Democrats healthy majorities in the state House and Senate. Former Rep. Chris Shays, the last Republican to serve in Connecticut’s congressional delegation, said Stefanowski’s loss could be attributed to several things. He said Connecticut Republicans have nominated wealthy individuals to run for office in the last three gubernatorial elections — Stefanowski and Tom Foley — and left it up to them to finance and run their campaigns. “There was no grassroots effort, there was no organization,” said Shays, who was defeated by Rep. Jim Himes, D-4th District, in 2008. Rose also said the “Trump effect” impacted New England races this year. “If there was ever a race where there should have been change, it was this one,” Rose said of the Connecticut’s governor’s race. Although Trump received nearly 41 percent of the vote in Connecticut in 2016, polls over the summer showed his favorability rating in the state was only about 30 percent. But, according to a count by the Connecticut Secretary of State’s office last week, only 21 percent of Connecticut’s voters were registered Republicans. About 38 percent were registered Democrats and about 40 percent were unaffiliated. To win, a GOP candidate running for statewide office must appeal to unaffiliated voters, and even some Democrats. Only a small number of Republican voters picked the winner in the GOP primary and Stefanowski failed to win enough support outside his party. “What would have happened to Stefanowski if he had sounded more like Charlie Baker?” mused Sen. Chris Murphy, D-Conn. Despite its electoral losses this year, Murphy said the Republican Party in Connecticut could regain its strength. “If it decouples themselves from Trump, it can come back,” he said. Murphy also said the GOP gubernatorial primary was a “nightmare” for Republicans because only the party faithful could vote in that contest - and primary voters tend to be the most conservative. He suggested opening up Connecticut’s primaries “at least to unaffiliated voters” to allow more moderate GOP candidates to emerge. The Connecticut Republican Party did not respond to a request for comment for this article. Opening the primaries to unaffiliated voters could also broaden the field of Democratic candidates. Murphy’s challenger, Matthew Corey, was a Trump supporter, as were the candidates who ran against the five Democrats who represent Connecticut in the U.S. House of Representatives. “The Republican Party here sold out to Donald Trump,” said Sen. Richard Blumenthal, D-Conn.
“Donald Trump’s nationalistic rhetoric is repugnant to the New England tradition,” he said.